bring it to the table: THE IRON CHEF COMETH WITH INTERNATIONAL FLAVOURS! we've been following TDC culinary events for quite some time now and they've been a lot of fun. 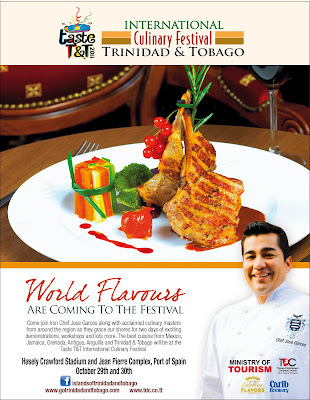 but we think that this version of TASTE T&T might be the biggest thus far. 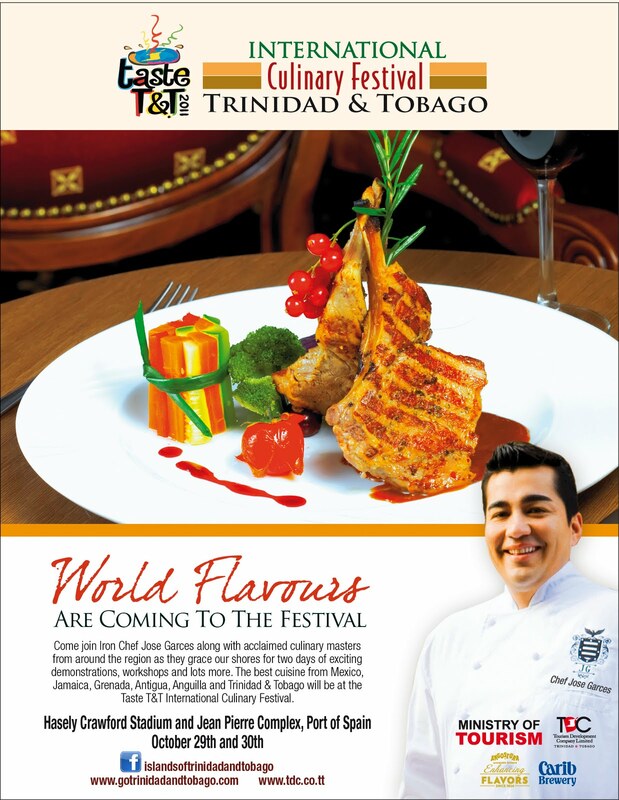 it's the INTERNATIONAL CULINARY FESTIVAL happening at the Hasely Crawford Stadium & Jean Pierre Complex on October 29th & 30th. we're not just excited to head down and sample food from mexico, jamaica, grenada, antigua, anguilla and of course our local street food, but we're looking forward to checking out the demo kitchens hosted by the international chefs that are coming. and speaking about chefs, we're getting to see an IRON CHEF in the flesh. Chef Jose Garces is coming to be a part of it. i mean... as iron chef fans, we have to be there. but you don't have to be a food network junkie to come down. all you have to do is be hungry. check the TDC facebook page to stay in the know. Oh lord have mercy! an iron chef? Are they going to do it iron chef style versus a trini chef? I mean.. of course you dont know.. but maybe it would be cool. yeah yute... diz not ting to miss at all. Yeh Q - this is sounding scrumptuous - but ah figure u an' me could challenge de iron chef yuh know...Either way not to be missed! yeah ree... leh we send a challenge?? hahaha! !